Watchmen Of America 2nd Amendment Celebration Drawing Event (the Contest) is open to legal residents of the fifty (50) United States and the District of Columbia who are at least eighteen (18) years old at the time of entry. Entrants DO NOT have to be members of the Watchmen Of America organization. The Contest is subject to federal, state, and local laws and regulations. The Contest is sponsored by Watchmen Of America, located at 1306 Eastman Ave, Tuscumbia, Alabama 35674. The Contest begins on January 01, 2019 at 6:00 p.m. Eastern time and tickets can be obtained uo to the closing date of April 30, 2019 at Midnight Eastern time (the Contest Period). Entries that are submitted before or after the Contest Period will be disqualified. Submissions will be accepted for the duration of the Contest using any of the following methods: Online FREE Ticket Registrations Only with purchase of an exclusive 2nd Amendment patch. Online ONLY: This method of entry will be available by visiting our website (www.WatchmenOfAmerica.com) and following the links to the Contest Page. There is NO LIMIT as to the number of tickets each Entrant can obtain. The total number of tickets available will be 150 (One Hundred Fifty). Each Entrant must provide their Full Name, Mailing Address, Phone Number and Email Address in order for us to have your contact information in the event you win. All Ticket Registration information is to be kept exclusively private and will not be shared, sold, traded or otherwise made available to any third party for any reason. Transactions will be processed for the Patch Purchases through PayPal and any debit or credit card can be used without having a PayPal account. On or about May 04, 2019 at 8:00 p.m. Eastern time, the Sponsor will select the single winner in a random drawing from among all eligible entries received. The odds of being selected depend on the total number of entries received. The Sponsor will attempt to notify the potential winner via telephone and/or email within three days of the drawing. If the potential winner cannot be contacted within five (5) days after the date of the first attempt to contact him/her, the Sponsor may select an alternate potential winner in his/her place at random from the remaining non-winning, eligible entries. The winner will be notified by email, mail or phone. If the winner cannot be contacted, or fails to contact us with their ticket claim, within the required time period of 5 days, the winner forfeits the prize. In the event that a potential winner is disqualified for any reason, Sponsor will award the applicable prize to an alternate winner by random drawing from among all remaining eligible entries. Only three (3) alternate drawings will be held, after which the prize will remain un-awarded. Arrangements for delivery of the Prize must be made within 10 days after notification to winner. this 10 Day period. Failure to Claim the Grand Prize and make shipping arrangements may result in a Forfeiture of the Grand Prize in which which we Draw another Winner from the remaining tickets in the hopper. All Ticket Entries remain in the Hopper until the Grand Prize is officially claimed and received by the Winner. 1 each Grand Prizes - AR-15 .223 Caliber Rifle - Custom Built with Hard Rifle Case, 1 ea Magazine, 1 Reflex Optics Sight. Other Accessories may be included in the prize package. The firearm will be brand new, however it will be "Test-Fired" for safety reasons. The Firearm will be cleaned afterwards and assured to be in working order. In the event that the operation, security, or administration of the Contest is impaired in any way for any reason, including, but not limited to fraud, virus, bug, worm, unauthorized human intervention or other technical problem, or in the event the Contest is unable to run as planned for any other reason, as determined by Sponsor in its sole discretion, the Sponsor may, in its sole discretion, either (a) suspend the Contest to address the impairment and then resume the Contest in a manner that best conforms to the spirit of these Official Rules or (b) terminate the Sweepstakes and, in the event of termination, award the prize at random from among the eligible, non-suspect entries received up to the time of the impairment. The Sponsor reserves the right in its sole discretion to disqualify any individual it finds to be tampering with the entry process or the operation of the Contest or to be acting in violation of these Official Rules or in an unsportsmanlike or disruptive manner. Any attempt by any person to damage the website or undermine the legitimate operation of the Contest may be a violation of criminal and civil law, and, should such an attempt be made, the Sponsor reserves the right to seek damages (including attorneys fees) and any other remedies from any such person to the fullest extent permitted by law. Failure by the Sponsor to enforce any provision of these Official Rules shall not constitute a waiver of that provision. the right to claim any damages whatsoever, including, but not limited to, punitive, consequential, direct, or indirect damages. Sponsor will NOT be responsible for any defects of the Prize, once it is handed over to the Official FFL Firearms Dealer to be delivered to the Winner. Sponsor will not be held responsible for any delays in delivery once it is turned over to the Firearms Dealer. Except where prohibited, each entrant agrees that any and all disputes, claims and causes of action arising out of, or connected with, the Sweepstakes or any prize awarded shall be resolved individually, without resort to any form of class action, and exclusively by the appropriate court located in Alabama. All issues and questions concerning the construction, validity, interpretation and enforceability of these Official Rules, entrants rights and obligations, or the rights and obligations of the Sponsor in connection with the Contest, shall be governed by, and construed in accordance with, the laws of Alabama, without giving effect to any choice of law or conflict of law rules, which would cause the application of the laws of any jurisdiction other than Alabama. The winner will be annouced by posting the Winning Ticket Number on the Watchmen Of America Website and any other form of social media that the Sponsor uses for the promotion of the Contest such as Facebook, etc. The information that will be posted of the Winner will be the Winning Ticket Number, First Name and First Initial of the Last Name and State of residence. No other information will be divulged in any public manner. 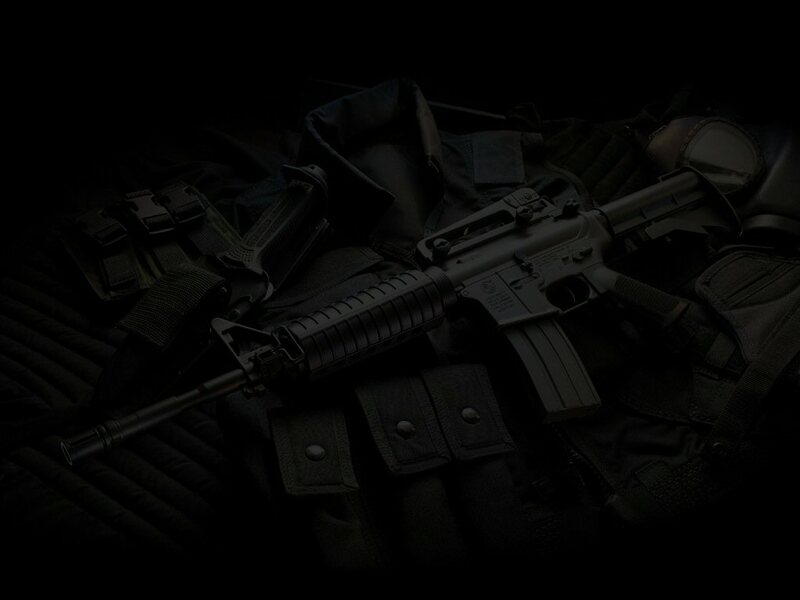 Due to the nature of the Prize itself, the transfer and delivery of the AR-15 Firearm must be done through an official FFL Firearms Dealer and all required and lawful paperwork for the transfer and registration of the Firearm must be completed. Sponsor will turn over possession of the Firearm to a local Firearms Dealer in the State of Alabama, whereby they will contact a Firearms Dealer in the local area where the Winner resides. The winner must claim the prize from a local Firearms Dealer of their choice and complete all necessary paperwork. The Winner shall pay ALL transfer and delivery fees from both Firearms Dealers in order to obtain the prize. The Winner must notify Sponsor within 5 days which Firearms Dealer they wish to use for the Local Delivery and Transfer in their local area.